The following online databases are valuable resources for the study of the American Revolution, the Society of the Cincinnati and other subjects related to our library’s holdings. Most of the databases are freely available outside of the library, indicated as open access; while, those that are limited to on-site library users are indicated as such. Full-text searchable access to more than 470 million U.S. military service records. The database spans hundreds of years and includes special collections from a variety of institutions. Full-text access to more than 10 million academic journal articles, books and primary sources in 75 disciplines, including the Virginia Magazine of History and Biography and the William & Mary Quarterly. Access to Peter Force’s American Archives, containing thousands of pamphlets, booklets and newspaper articles pertaining to the origin, settlement and progress of the colonies in North America. A searchable database of U.S. newspapers from 1789 to 1963, with descriptive information and select digitization. Access to approximately 470,000 digitized pages of materials that relate to seventeenth- and eighteenth-century North America. Searchable database of membership applications and supplemental applications for membership to the National Society Daughters of the American Revolution. Over 181,000 searchable, fully annotated documents related to George Washington, Benjamin Franklin, John Adams (and family), Thomas Jefferson, Alexander Hamilton and James Madison. Downloadable PDFs of the first 12 volumes of Naval Documents of the American Revolution from the Naval History and Heritage Command. 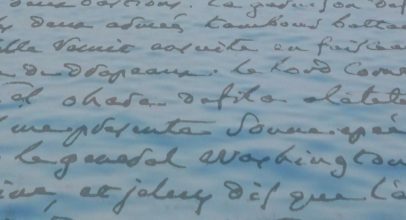 The collection includes diaries, letters, petitions, ships’ logs, muster rolls, orders, official reports and newspaper accounts from American, British, French and Spanish troops. An online cross-referenced index of approximately 950 surviving orderly books of the Continental Army. Nearly 30,000 transcribed pension applications for soldiers who served in Virginia, North Carolina, South Carolina and Georgia. A state-by-state guide for conducting research on soldiers of the Revolutionary War as well as early members of the Society of the Cincinnati. The following selected bibliographies provide recommended books and articles for further reading on the history of the American Revolution and the Society of the Cincinnati. Most works highlighted in the lists below are published reference materials and are held in the Institute’s library or can be found readily in academic and public libraries. Works on military and naval art and science in circulation in the eighteenth century are the primary focus of the Society’s Robert Charles Lawrence Fergusson Collection. This selected list of sources on the subject gives context for the study of the early printed books and manuscripts in the Society’s collections. 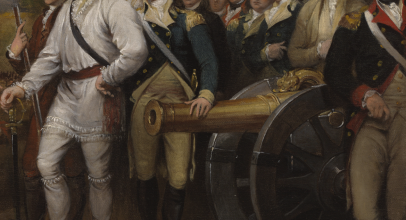 Selected readings on the history of the organization, operation and commanding officers of the British Army and Navy during the American Revolutionary War. Selected readings on the history of the organization, administration and operations of the Continental Army and Navy during the American Revolutionary War. Published primary sources and modern reference works dealing with aspects of French participation in the American Revolution, including army and naval activities and diplomacy. Readings relevant to the history of the Society of the Cincinnati, from its founding in 1783 to the present. Among the works listed are ones that address the early controversy surrounding the establishment of the Society, histories of the constituent societies, and works on the Society’s emblems of membership. A practical list for teachers and parents of books on the American Revolution. All of the books recommended are in print and readily available from bookstores or online vendors.